RFID, also known as radio frequency identification, is a highly efficient method to transfer data and track items. An RFID system is composed printers, readers in handheld or static devices, and labels and tags on the specific products. RFID is becoming more of a typical technology in warehousing and more popular in many industries for a variety of applications. Read below or contact us for more information on how to get your business started in the RFID industry. Tags do not have to be seen in order to read data. This means that tracking products or people can happen from anywhere in a specified range which maximizes speed and efficiency. RFID tags can store up to 100 times the data of barcodes, allowing you to keep track of all the data you need for your inventory such as lot and serial number, size, manufacturer, vendor, expiration date, user, location on production line and anything else you might want to know. Readers can read up to 200 tags at once. This will increase speed and productivity since employees will not need to physically scan each label. The position of each tag is flexible (as long as they are not blocked by metal or water) since the tag doesn’t need to be physically seen by the reader. For example, you can place tags in boxes or within a pallet. RFID technology is functional inside and outside the warehouse. The technology has the capacity to withstand harsh environments and temperatures, even the tags! 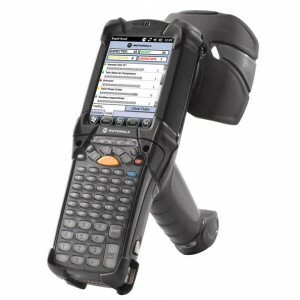 The MC9190-Z RFID Reader is a high-performance, highly rugged RFID handheld reader designed for industrial environments. 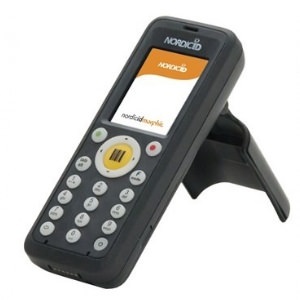 It delivers best-in-class RFID read range and accuracy in an ergonomic, integrated RFID and barcode device. 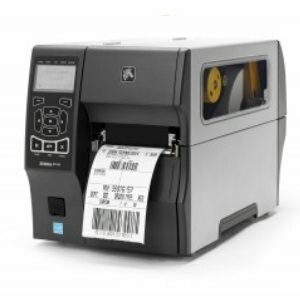 The ZT400 Series RFID printer is loaded with advanced features and connectivity options, these printer/encoders accurately and efficiently produce labels for all your mid- to high-volume item-level tracking applications. Nordic ID Morphic is the most compact mobile computer in nordics portfolio, easy to carry with pocket sized portability with versatile data collection options. Single hand operation ensurses efficiency and ease of use. Get in touch with us for more informtation.